Dr Langton qualified from Guys Hospital, London in 1984, subsequently training as a GP in Greenwich. He worked as a GP in Nailsea from 1988 before joining Monks Park Surgery in 1996. Dr Langton is our Senior Partner and enjoys all aspects of primary care medicine. He has a special interest in sports medicine having been club doctor to Bristol Rovers for 8 years, team doctor for England FA youth and more recently Bristol Academy Women’s FC , now Bristol City WFC. He is a full time GP available Monday to Thursday and represents the practice on the CCG Locality Group. Outside of medicine, Dr Langton is an active member of the music scene in his local area and plays in two bands! He also plays hockey (sort of!) and enjoys running and spending time with his family. ​​Dr Gibbs completed her medical degree in Bristol before undergoing further training in Plymouth and Taunton. She moved back to Bristol after becoming a GP. She is nterested in all aspects of primary care, especially women's health and mental health. She also works with Brisdoc providing acute GP care in the hospital setting. Outside of work she enjoys crafting and cooking as well as yoga, she also tries to run regularly but can't say she always enjoys it! Dr Gibbs works with us two days a week on a Monday and Wednesday. MRCGP, MBChB, MA, BA (Hons) Cantab. Dr Burt worked as a biomedical scientist specialising in haematology before qualifying with his medical degree from Nottingham University. He underwent GP training in Devon before moving to Bristol. He has a wide interest in primary care with a particular interest in mental health. Outside of work he is a keen runner and enjoys keeping fit in a variety of ways including rowing and road cycling. Dr Burt works with the Brisdoc out of hours service, another Affinity Group practice and is with Monks Park Surgery every Monday. A General Practitioner (GP) is your family doctor and is the main point of contact for general NHS healthcare. All UK residents are entitled to the services of an NHS GP. GPs are highly skilled doctors who support patients throughout their lives. They help you to manage your health and prevent illness and are trained in all aspects of general medicine. This includes child health, mental health, adult medicine, the diagnosis and management of acute medical and surgical problems and the management of long term health conditions. GPs act as a patient’s advocate, supporting and representing a patient’s best interests to ensure they receive the best and most appropriate health and/or social care. GPs also provide the link to further health services and work closely with other healthcare colleagues to help develop those services. They may arrange hospital admissions and referrals to specialists and they link with secondary and community services about your care, taking advice and sharing information where needed. 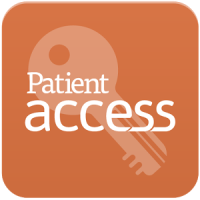 They also collect and record important information from other healthcare professionals involved in your treatment. GPs are also involved in the education and training of doctors, practice staff and other healthcare professionals.